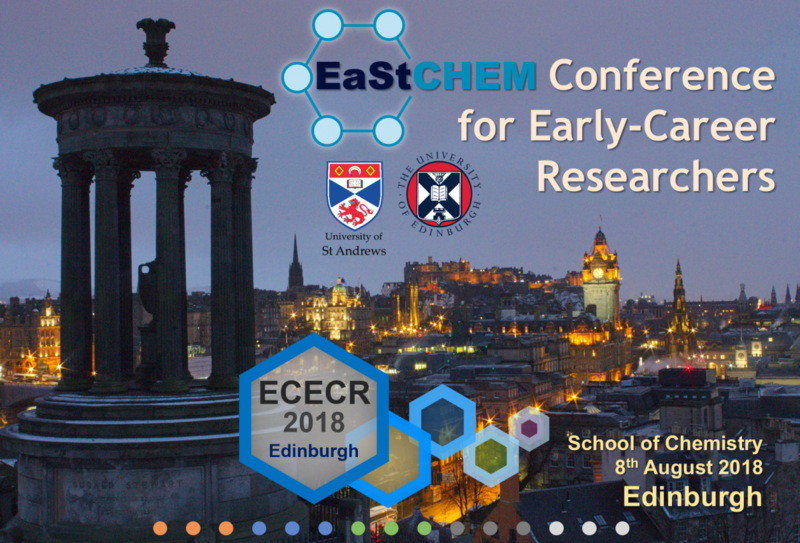 The 3rd edition of the EastCHEM Conference for Early-Career Researchers 2018 (ECECR 2018) will be held at the James Clerk Maxwell Building (JCMB) (King’s Building Campus, University of Edinburgh) on Wednesday, 8th August 2018. The meeting objectives are to provide a focused platform for thinking “What's next for my career?” and also to create new, multidisciplinary collaborations between the institutions. The scientific program includes research talks and posters from early-career researchers of the Universities of Edinburgh and St Andrews. The day of talks, posters, exhibitions and prizes will host two plenary lectures from early-career scientists who will share their complementary paths to success in academia and industry. The ECECR 2018 organizing committee sincerely hope you will join us for this career-focused day of science delivering a unique networking experience for all involved.